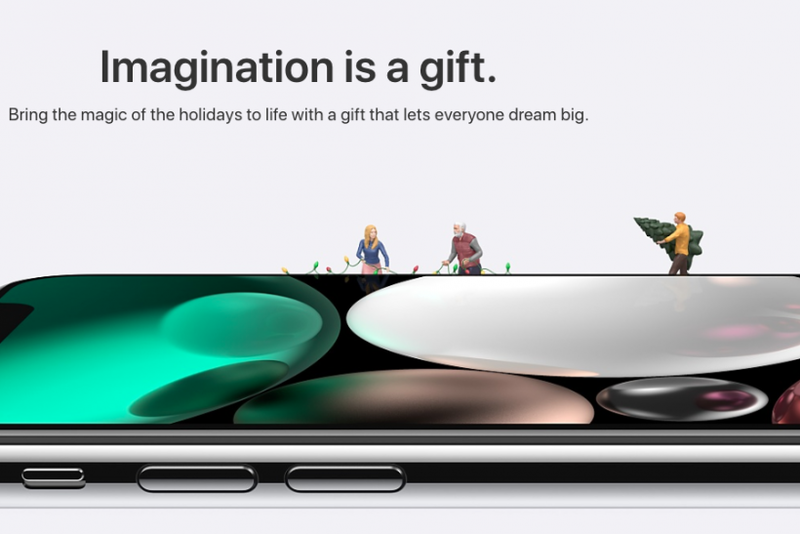 Apple is gearing up for the holidays by launching its gift guide webpage on Wednesday, showcasing its newest devices. The site features the iPhone 8 and iPhone X at the top of the page, and also suggests the latest Apple Watch and Apple TV. Apple has the recently-released iPhone X at the top of the list. The smartphone starts at $999 for the 64GB version, while the 256GB model costs $1,149. The iPhone X comes with a TrueDepth camera system for the Face ID and Animoji. The device supports wireless charging, is waterproof and features a glass front and back. Apple is also showcasing the iPhone 8 and iPhone 8 Plus, which were released in September. The iPhone 8 starts at $699, while the iPhone 8 Plus starts at $799. The devices come with Retina HD displays and still feature the home button, for those who are skeptical about the Face ID. The iPhone 8 models, like the iPhone X, support wireless charging, are waterproof and feature a glass front and back. Apple is also pushing the Apple Watch Series 3, which was released in September. The company is selling the standard version of the Watch at $329 and another version with LTE cellular support at $399. The gadget includes a dual-core processor, a faster Siri, a heart rate sensor and is about the same size as the Series 2. The Apple TV 4K, which was also released in September, is featured on the Apple’s holiday gift page this year. Besides 4K capabilities, the device includes high dynamic range and Dolby Vision support. The gadget is priced at $179 for the 32GB version and $199 for the 64GB version. Apple is also pushing the 10.5-inch and 12.9-inch iPad Pro models, along with the tablets’ accessories, including the $99 Apple Pencil, the $159 Smart Keyboard for the 10.5‑inch iPad Pro, the $129 Leather Sleeve for theh 10.5‑inch iPad Pro and more. The MacBook Pro 13-inch and 15-inch models with or without the TouchBar are also on Apple’s holiday gift guide. Other listed items Apple is pushing include the Beats Studio3 wireless headphones, priced at $349.95; the Belkin Boost Up Wireless Charging Pad, priced at $59.95; the DJI Mavic Pro Alpine White Combo drone, priced at $1,049.95; and the CliqueFie Selfie Stick, selling at $39.95. The gift guide comes as Apple announced on Wednesday its extended holiday return policy. Customers who buy products from Apple between Nov. 15 and Dec. 25 will have until Jan. 8, 2018 to initiate a return of the item they purchased. The holiday return policy means shoppers will have longer than Apple’s regular 14-day rule to return an item.